If there’s one word that generates a kind of common dread among many people, it might be “cellulite.” Even people who don’t know what cellulite is are pretty sure they don’t want to have it. During those hot New York City summers, cellulite can be particularly difficult to hide. But what exactly is cellulite? Cellulite is deposits of fat and other material trapped in pockets of connective tissue beneath the skin. 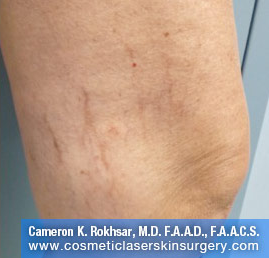 It causes progressive dimpling, also called “orange peel” or “cottage cheese” appearance of the skin. About 90 % of women are affected by it, after they reach puberty so it is fairly normal to have. Cellulite is caused by factors which influence where and how fat is stored, where and how fluid is retained, and the amount and arrangement of collagen and elastin fibers in the connective tissue layers of the skin. When normal fatty tissue is stored, it is held in place by a network of collagen and elastin fibers and is supplied by a network of vascular and lymph vessels. The term “cellulite” was coined in 1973 to refer to the dimpled appearance of the skin that some people have on their hips, thighs, and buttocks. This appearance is much more common in women than in men because of differences in the way fat, muscle, and connective tissue are distributed in men and women’s skin. Although female hormones may play a role in contributing to this fat distribution, cellulite is not treatable by hormone therapy. There are plenty of over the counter Cellulite “solutions.” The only problem with most of them is that they don’t work. Part of this has to do with the fact that people aren’t entirely sure what causes cellulite in the first place. Some of it is genetic and some of it may have to do with environmental factors. 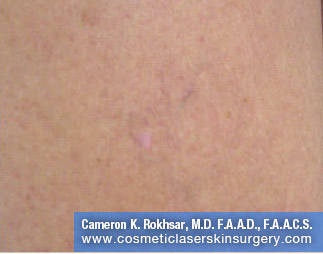 In either case, it will most often take a cosmetic procedure to eliminate your Cellulite deposites. The VelaSmooth™ is the first medical device for cellulite. The VelaSmooth combines vacuum suction, mechanical rollers, and heating through infrared light and bipolar RF energy. Reduction in cellulite and contouring of unwanted lumps, bumps and bulges are the treatment goals for VelaSmooth; most patients achieve some reduction in circumferential measurement around treated areas. If you’re interested in eliminating your Cellulite and enjoying smooth, healthy-looking skin, contact Dr. Cameron Rokhsar to schedule a confidential consultation. 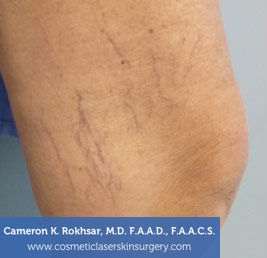 Dr. Rokhsar will be able to determine which procedures or techniques may be of the most benefit to you and most effective in eliminating your Cellulite. 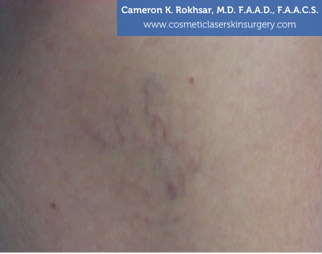 If you want smooth skin today, contact us immediately and get started on your transformation!